Product Stewardship in Action describes how and why leading companies are taking responsibility for the environmental impact of their products and packaging. Product stewardship, often referred to as "extended producer responsibility" or EPR, is the idea that everyone that benefits commercially from a product, including manufacturers, distributors and retailers, has a shared responsibility to minimize its environmental impacts. Written primarily for a business audience, it draws on the knowledge and experience of industry practitioners and other experts to provide a structured approach to product responsibility within firms. This will help those new to the field, as well as more experienced practitioners, to develop an effective response to stakeholder concerns about the environmental impacts of their products and packaging. 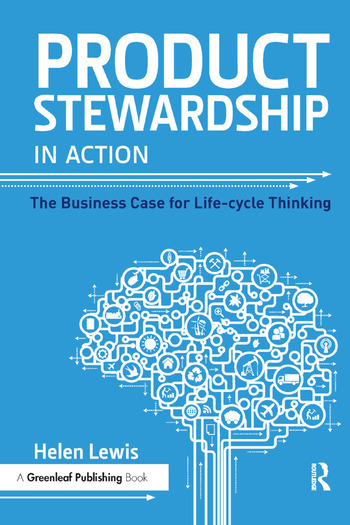 Unlike other resources on product stewardship and EPR, which tend to focus on the design or evaluation of public policy, this book highlights the business case for action. It argues that companies can achieve "shared value" — both public and commercial value — when they take a proactive and knowledge-based approach to the life-cycle management of their products. Product Stewardship in Action focuses on product stewardship as an effective business strategy rather than a philanthropic exercise. To be effective it needs to be based on a good understanding of product impacts and stakeholder concerns, and the risks and opportunities that these present to the business. The most effective responses will be those that address material issues in the product life-cycle while supporting the achievement of other corporate goals and priorities. Acknowledgements. Foreword. Part 1: A framework for action. 1. Introduction: evolution, key concepts and business drivers. 2. A strategic approach to product stewardship. Part 2: Product stewardship by sector. 3. Packaging. 4. Electrical and electronic equipment. 5. Batteries. Part 3: Conclusions. 6. Strategies for success. 7. What’s next? The future of product stewardship. Glossary. Biography.